Jakob von Uexkull is a writer, lecturer, philanthropist, activist, and former politician. He is the founder and chair of the Right Livelihood Award (1980), often referred to as the Alternative Nobel Prize; co-founder of The Other Economic Summit (1984); and founder of the World Future Council (2007). He was a member of the European Parliament (1987-89) and of the United Nations Educational, Scientific, and Cultural Organization (UNESCO) Commission on Human Duties and Responsibilities (1998-2000). 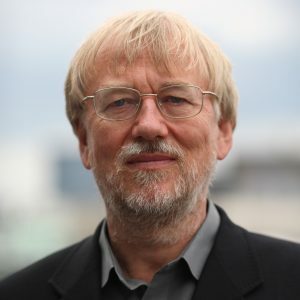 Von Uexkull has served on the Council of Governance of Transparency International as well as on the Board of Greenpeace, Germany, and was a member of the European Parliament for the German Green Party from 1984 to 1989. He is a patron of Friends of the Earth International and lectures widely on environment, justice, and peace issues. He has received the Future Research Prize of the State of Salzburg, Austria (1999), the Order of the Cross of Terra Mariana of the Republic of Estonia (2001), the Binding-Prize (Liechtenstein) for the protection of nature and the environment (2006), and the Order of Merit First Class of the Federal Republic of Germany (2009). In 2005 he was honored by Time Magazine as a European Hero, and in 2008 he received the Erich Fromm Prize in Stuttgart, Germany. After studying in Sweden and Germany von Uexkull received an M.A. (with honors) in politics, philosophy, and economics from Christ Church, Oxford. He then worked as a free-lance translator and journalist specializing in political and environmental issues and ran a philatelic business. A recognized philatelic expert and author of The Early Postal History of Saudi Arabia (London, 2001), he sold his collection of postage stamps for $1 million in order to establish the Right Livelihood Award. In 2005 his nephew Ole von Uexküll assumed management of the Award and is the executive director of the Right Livelihood Award Foundation. Jakob von Uexkull is married and has three children. He lives with his family in London.